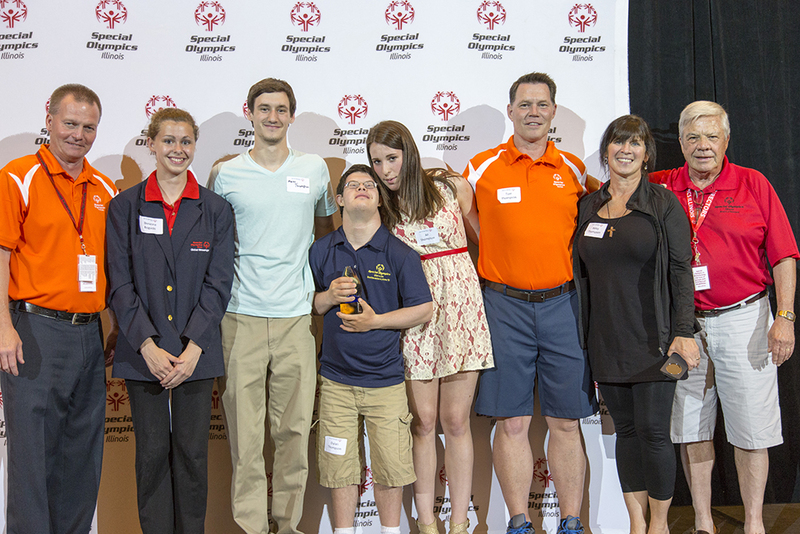 Ali Thompson of Lake Zurich has been named 2015 Special Olympics Illinois Outstanding Volunteer of the Year. She was honored at a reception June 12 before the Special Olympics Illinois Summer Games Opening Ceremony at Illinois State University in Normal. Thompson has been a Special Olympics volunteer for 11 years, beginning while she was a student at Lake Zurich schools. She is currently a student at Butler University in Indianapolis. She began volunteering with Special Olympics Illinois in 2005 when her brother Dylan started competing as an athlete. In her senior year at Lake Zurich High School, Thompson nominated Special Olympics Illinois for Charity of the Year. 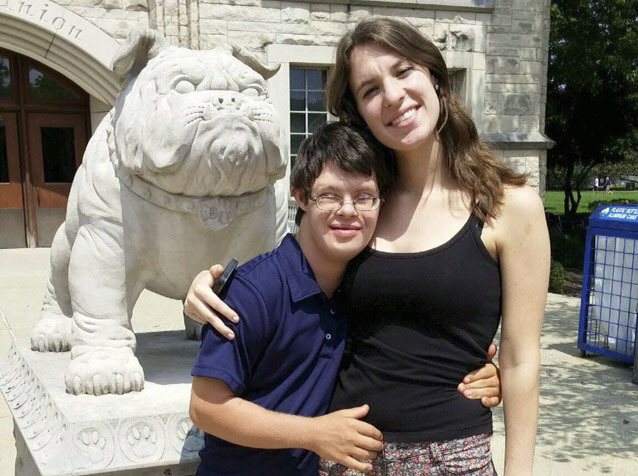 Her efforts resulted in the organization becoming the school’s chosen charity, which in turn raised $22,000 for Special Olympics Illinois, plus inspired students to volunteer their time while getting to know more about people with intellectual disabilities. In addition, Thompson has organized volunteers for the Northeastern/Area 13 Holiday Event in Long Grove for the past 3 years. In her first year of college at Butler University in Indianapolis, Thompson put her passion and organizational skills to use by organizing the first-ever Polar Plunge at the school, plus raising money and Plunging herself! Thompson’s brother, Dylan, competes in gymnastics and athletics in Special Olympics. The entire family – father, Tom, mother, Betsy, and brothers, Matt and Tommy – is involved in Special Olympics, volunteering at many Area 13 events, including running the souvenir tent at Area 13 Spring Games. Special Olympics Illinois is a not-for-profit organization offering year-round training and competition in 19 sports for nearly 22,000 athletes with intellectual disabilities and nearly 21,000 Young Athletes ages 2-7 with and without intellectual disabilities. Special Olympics transforms the lives of people with intellectual disabilities, allowing them to realize their full potential in sports and in life. Special Olympics programs enhance physical fitness, motor skills, self-confidence, social skills, and encourage family and community support. If you are interested in learning more about Special Olympics Illinois, volunteering or providing financial support to help make Special Olympics programs possible, contact your local Special Olympics agency, call 800-394-0562 or visit our website www.soill.org.